There are an incredible variety of diaper pails out there on the market today. With technology improving, it seems that the choices in diaper pails are improving with it. However, for those that don’t use regular diapers and opt for cloth diapers, the options with diaper pails are not so vast. Because of potential bacteria and mold on cloth diapers, the pails must be different from those used with regular diapers. So, today we are going to share with you how you can go about finding the best diaper pail for cloth diapers. A diaper pail is a pail specifically for diapers that work to help contain the smell that results from dirty diapers. This type of pail is more advanced than just a normal kitchen trash can as its main purpose is to keep the smell of dirty diapers to a minimum. 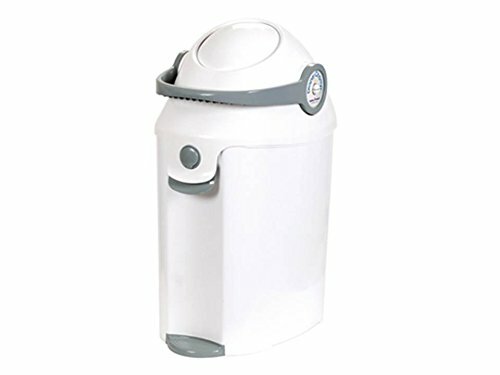 How to choose a diaper pail? For those opting to go with cloth diapers, the decision is a bit more difficult. First of all, you will want to look for one that is made from high-quality plastic or metal. Both of these materials are less likely to absorb the diaper stink that cheaper plastics will. Secondly, you will want your diaper pail to have a water-resistant bucket inside that you will have no problem taking out and regularly rinsing to keep clean and free of bacteria. Thirdly, you want a diaper pail that has easy access, a.k.a. A step pedal that so that you won’t have to try and open the pail with your dirty hands, thus risking spreading bacteria. However, you also want a pail whose lid will stay shut so that pets are not able to get in. Additionally, a pail with a tight-fitting lid will help keep odors in the pail and out of the rest of your house. These are some of the things you want to look for in order to find the best diaper pail for cloth diapers. What are some different types of cloth diaper pails? There are three options for cloth diaper storage: wet, dry, and combination. Wet: This type of cloth diaper storage means that diapers are soaked in pail that has a little bit of water in it. The water in the pail helps to reduce staining and smells in the dirty diaper. People using wet diaper storage will oftentimes use vinegar or essential oils to help mask the smell. However, you must be sure to change your wet diaper pail water every day to prevent the smells from getting to be too much. Dry: With this type of storage, diapers are stored in waterproof bags. Be sure not to line the pail of your dry diaper pail with cotton because cotton will absorb moisture and smells from the diapers. Combination: Some people will opt to rinse cloth diaper inserts and store them in a wet pail while keeping the diaper cover in a dry pail. However, with this method make sure you are washing the diapers every couple of days to prevent mildew. We are going to review 5 cloth diaper pails currently available so that you can get an idea of the positives and negatives of them and hopefully determine which one is the best diaper pail for cloth diapers. The Diaker Dekor Plus diaper pail is among the favorites in the market. It is discreet and convenient and proves to work well in keeping diaper odors contained. This diaper pail can hold an amazing 46 diapers, despite its sleek appearance. The built-in, door-mounted liner cutter means easy removal of bags, as well as easy tying and disposal. Overall, this diaper pail is noted for its massive capacity and its strong ability to keep the odors of the dirty diapers within the pail. The Ubbi Diaper Pail is made of powder coated steel and rubber seals that really work to keep the smell of dirty diapers contained within the pail. There is no special bag needed for the Ubbi, which is greatly appreciated by customers. The newer version of this pail has a covered rim that keeps the bag from ripping open. This diaper pail’s stainless steel construction is a major plus that has impressed many customers. The Munchkin Step Diaper Pail claims to be proven as #1 in odor control for diaper pails. And they care about the environment too — for every diaper pail sold, the company will plant a tree. 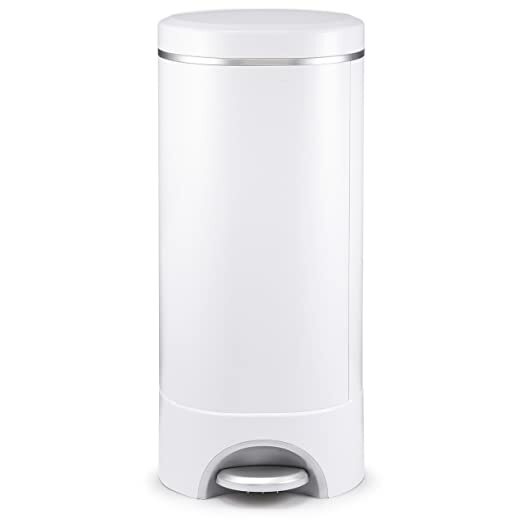 This diaper pail comes with a self-sealing system that helps contain odors and is dual-refill compatible. The pedal is very easy to use, which is important in changing diapers. The Munchkin’s odor protection is hard to beat, and the easy-to-use pedal is something all parents are after. The Playtex Diaper Genie has a new version that is sleeker than previous models and comes in a variety of colors: white, grey, pink, blue, and green. 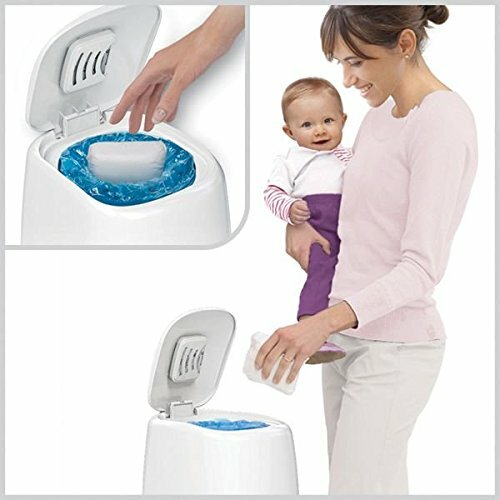 This diaper pail also comes with a built-in carbon filter that is naturally activated to absorb and contain strong diaper smells. The new air-tight clamp on the newer model is another way that ensures the odor stays within the pail. The Genie is a known name in the diaper pail industry, and it certainly lives up to its reputation. The Diaper Champ Deluxe boasts great odor control and the option to use either a Diaper Champ Refill or any 13-gallon trash bag. 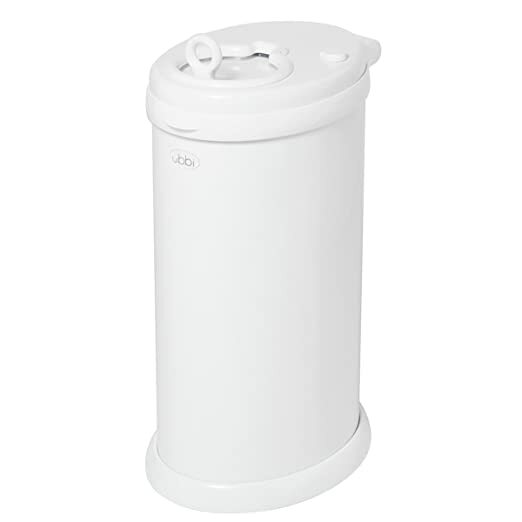 This diaper pail holds up to 30 diapers, which is far more than many other pails. It is also easy to use and comes ready to use upon delivery. This pail is able to hold a high number of diapers and parents greatly appreciate its ability to fit standard trash bags. From the above reviews, it appears that the Ubbi Steel Diaper Pail is the best diaper pail for cloth diapers. It seems to have the highest praise for keeping odors contained, while most of the other cloth diaper pails were reviewed as not being able to keep the odors in. 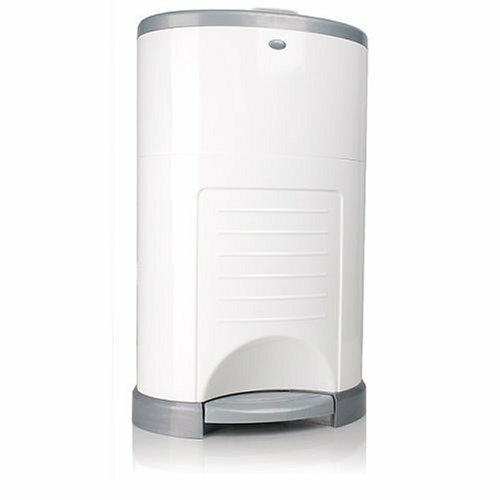 The Ubbi Steel Diaper pail is made of stainless steel, which is integral to keeping the bad diaper smells out of the rest of your home. It is also very easy to clean and the pedal is praised as being a great one to use.